A country where time stood still for decades, salsa runs through the veins of every local, and remnants of Revolution still hang in the air. Eat, drink, party in sleep in this fast growing Caribbean island nation. Breathtaking beaches, wild forests, flat rolling plains and three major mountain ranges, Cuba is the largest island in the Caribbean. Try the mouthwatering Cuban cuisine “ropa vieja”, a stewed shredded beef dish served with rice, black beans and sweet plantains. Sip on mojitos in the Cuban bar “La Bodeguita del Medio”in Havana, made famous by Ernest Hemingway. 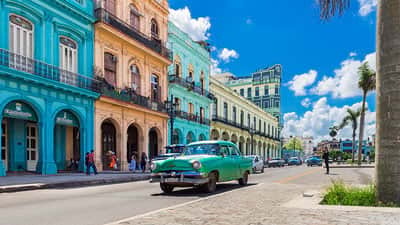 In a place where there are more vintage American cars than people, almost every citizen is a remarkable salsa dancer, and music is a way of life, Cuba is a hotspot for travel. 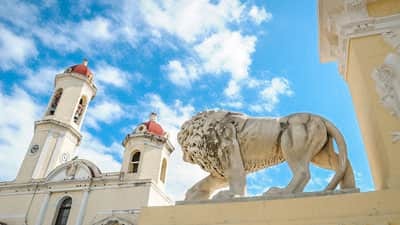 Check out one of its many beautiful beaches and the beautiful La Habana Vieja, a World Heritage site. A symbol of great quality, no trip to Cuba isn’t complete without one of the country’s infamous cigars or a taste of one of the most popular drinks in the world, “Cuba Libre”. The name stems from the battle cry of the Cuba Liberation Army during the war of independence. For blue skies and sunny days, the best time to visit Cuba is from December to May. June marks the beginning of the wet season, while August and October bring risk of hurricanes.